Abstract: Based on the ground meteorological elements data, interim daily reanalysis data and DEM data, this paper discussed the structure of Kunming Quasi-Stationary Front (KQSF) when it moved westward, gone eastward and kept sustaining. The movements of KQSF are closely related to the weather of Yunnan, Guizhou and south Sichuan in winter, so it is important to study its frontal structure and shift mechanism. By using synthetic analysis and disusing the circulation features, meteorological factors and frontogenesis function terms, we can draw some mainly conclusions:When the isotherm between lower atmosphere and ground presents "V" distribution, and the frontal secondary circulation is relatively deep, the front is easy to move westward; when the lower atmosphere presents deep inversion layer, and the frontal secondary circulation is very thin, the front is tend to move eastward; when the inversion layer only exists in lower atmosphere, and there is a cold center in surface layer, the front tends to sustain. For the vertical structure of the u wind, when the border of east and west wind is on the left side of the front, the front tends to move westward, on the contrary it tends to go eastward; when the border is basically coincident with front, it's likely to sustain. When there exists continuous transmission of east wind behind of the front, undulating topography can change the vertical distribution of wind near ground, which leads to the multiple centers of rising and sinking. For the vertical motion tilting term, there is a strong phenomenon of frontolysis in the windward slope near 105°E when the font goes westward, and there is a weak phenomenon of frontogenesis when the font goes eastward or keeps still. For the horizontal divergence term, it is related to the gradient of equivalent potential temperature and horizontal divergence, and it contributes much to frontogenesis. Horizontal divergence term is predictable to front's movement, when the strong frontogenetical area is on the left side of front, the front tends to go westward; when the strong frontogenetical area is on the right side of the front, and the phenomenon of frontogenesis is weak, the front tends to go eastward; when the strong frontogenesis is basically coincident with frontal zone, the front tends to sustain. For the horizontal deformation term, it consists of tilting term and deformation term, and tilting term is more important to frontogenesis. For the expansion deformation term, there is a stronger phenomenon of frontolysis in the east of 104°E because of the interaction between cold air mass and windward slope. ZHANG Yanan, DUAN Xu. Structural Characteristics of the Advance, Retreat and Maintenance of Kunming Quasi-Stationary Front in January. Plateau Meteorology, 2018, 37(5): 1375-1387. 段旭, 李英, 孙晓东, 2002. 昆明准静止锋结构[J]. 高原气象, 21(2):205-209. Duan X, Li Y, Sun X D, 2002. The structure of Kunming quasi-stationary front[J]. Plateau Meteor, 21(2):205-209. 段旭, 段玮, 邢冬, 等, 2018. 冬春季昆明准静止锋与云贵高原地形的关系[J]. 高原气象, 37(1):137-147. Duan X, Duan W, Xing D, et al, 2018. The relationship between Kunming quasi-stationary front and Yunnan-Guizhou Plateau terrain[J]. Plateau Meteor, 37(1):137-147. DOI:10.7522/j. issn. 1000-0534.2017.00032. 段旭, 段玮, 邢冬, 2017a. 昆明准静止锋客观判识方法研究[J]. 气象学报, 75(5):811-822. Duan X, Duan W, Xing D, 2017a. Research of objective judgment method about Kunming quasi-stationary frontline[J]. Acta Meteor Sinica, 75(5):811-822. 段旭, 段玮, 王曼, 等, 2017b. 昆明准静止锋[M]. 北京:气象出版社, 134-167. Duan X, Duan W, Wang M, et al, 2017b. Kunming quasi-stationary front[M]. Beijing:China Meteorological Press, 134-167. 杜小玲, 蓝伟, 2010. 两次滇黔准静止锋锋区结构的对比分析[J]. 高原气象, 29(5):1183-1195. Du X L, Lan W, 2010. Contrastive Analysis on frontal structure of quas-stationary front in two precipitation processes of Yunnan-Guizhou[J]. Plateau Meteor, 29(5):1183-1195. 杜正静, 丁治英, 张书余, 2007.2001年1月滇黔准静止锋在演变过程中的结构及大气环流特征分析[J]. 热带气象学报, 23(3):284-292. Du Z J, Ding Z Y, Zhang S Y, 2007. Analysis of atmospheric circulation and structure of Yunnan-Guizhou quasi-stationary front during its evolutiont[J]. J Trop Meteor, 23(3):284-292. 杜正静, 何玉龙, 熊方, 等, 2015. 滇黔准静止锋诱发贵州春季暴雨的锋生机制分析[J]. 高原气象, 34(2):357-367. Du Z J, He Y L, Xiong F, et al, 2015. Analysis on the frontogenesis mechanism of Dian-Qian quasi-stationary front inducing spring rainstorm in Guizhou province[J]. Plateau Meteor, 34(2):357-367. DOI:10.7522/j. issn. 1000-0534.2013.00176. 李兆慧, 王东海, 王建捷, 等, 2011. 一次暴雪过程的锋生函数和急流-锋面次级环流分析[J]. 高原气象, 30(6):1505-1515. Li Z H, Wang D H, Wang J J, et al, 2011. Analysis on frontogenesis function and jet-front secondary circulation in a snowstorm process[J]. Plateau Meteor, 30(6):1505-1515. 许美玲, 段旭, 杞明辉, 等, 2011. 云南省天气预报员手册[M]. 北京:气象出版社, 10-16. Xu M L, Duan X, Qi M H, et al, 2011. 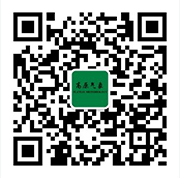 Weather forecast manual of Yunnan province[M]. Beijing:China Meteorological Press, 10-16. 杨贵名, 毛冬艳, 孔期, 2009. "低温雨雪冰冻"天气过程锋区特征分析[J]. 气象学报, 67(4):652-665. Yang G M, Mao D Y, Kong Q, 2009. Analysis of the frontal characteristics of the cryogenic freezing rain and snow weather[J]. Acta Meteor Sinica, 67(4):652-665. 尤红, 周泓, 杨红, 等, 2013. 云南倒春寒天气过程的分析研究[J]. 气象, 36(6):738-748. You H, Zhou H, Yang H, et al, 2013. Analysis on the late spring coldness processes in Yunnan[J]. Meteor Mon, 36(6):738-748. 朱乾根, 林锦瑞, 寿绍文, 等, 2007. 天气学原理和方法[M]. 北京:气象出版社, 95-106. Zhu Q G, Lin J R, Shou S W, et al, 2007. Principles and methods of synoptic meteorology[M]. Beijing:China Meteorological Press, 95-106. 张腾飞, 鲁亚斌, 张杰, 等, 2006. 一次低纬高原地区大到暴雪天气过程的诊断分析[J]. 高原气象, 25(4):696-703. Zhang T F, Lu Y B, Zhang J, et al, 2006. Diagnostic analysis of a heavy snowstorm processe in lower latitude plateau of China[J]. Plateau Meteor, 25(4):696-703. 张精华, 张万诚, 郑建萌, 等, 2016.1970-2009年冬季昆明准静止锋的变化特征及其影响分析[J]. 高原气象, 35(5):1298-1306. Zhang J H, Zhang W C, Zheng J M, et al, 2016. Variation of Kunming quasi-stationary front and its effect analysis in winter during 1970-2009[J]. Plateau Meteor, 35(5):1298-1306. DOI:10.7522/j. issn. 1000-0534.2015.00042. 李黎, 刘海文, 吕世华. 春季西南低涡年际和年代际变化特征分析[J]. 高原气象, 2017, 36(6): 1512-1520. 张精华, 张万诚, 郑建萌, 马涛. 1970-2009年冬季昆明准静止锋的变化特征及其影响分析[J]. 高原气象, 2016, 35(5): 1298-1306. 杨秀庄, 杜小玲, 吴古会, 汪超. 云贵高原东段初夏辐合线锋生型暴雨研究[J]. 高原气象, 2016, 35(4): 920-933. 郑峰, 曾智华, 雷小途, 陈联寿. 中国近海突然增强台风统计分析[J]. 高原气象, 2016, 35(1): 198-210. 陈豫英, 陈楠, 谭志强, 郑晓辉. 热力作用对宁夏不同强度沙尘天气的影响[J]. 高原气象, 2015, 34(6): 1668-1676. 杜小玲1-2,杨静1,彭芳1,许可1. 贵州望谟初夏暴雨环境场和物理量场合成分析[J]. 高原气象, 2013, 32(5): 1400-1413. 李兆慧, 王东海, 王建捷, 刘英. 一次暴雪过程的锋生函数和急流—锋面次级环流分析[J]. 高原气象, 2011, 30(6): 1505-1515. 杜小玲;蓝伟. 两次滇黔准静止锋锋区结构的对比分析[J]. 高原气象, 2010, 29(5): 1183-1195. 郑明华;付遵涛*;陈哲. 北极臭氧损耗对东亚中高纬地区初春地面气温影响的转折点分析[J]. 高原气象, 2010, 29(2): 412-419. 段长春, 朱勇, 尤卫红. 云南汛期旱涝特征及成因分析[J]. 高原气象, 2007, 26(2): 402-408. 赵桂香, 程麟生. 2001年7月山西中部一次罕见暴雨过程的诊断分析[J]. 高原气象, 2006, 25(6): 1083-1091. 徐忠峰, 钱永甫 . 热带地区100hPa东风气流的气候效应(Ⅰ):与华南气候的关系 [J]. 高原气象, 2005, 24(3): 387-395. 黄燕燕, 钱永甫. 长江流域、华北降水特征与南亚高压的关系分析[J]. 高原气象, 2004, 23(1): 68-74. 康凤琴, 肖稳安. 我国南方MCC的涡度、水汽和热量收支平衡[J]. 高原气象, 2001, 20(3): 332-339.